As of end 2003, the Guiana Space Centre’s 64 suppliers, subcontractors and service providers employed close on 2,100 people. A survey conducted for CNES by INSEE*, France's national institute of statistics and economic studies, indicates that their total revenues fell only slightly, despite a downturn in space business in 2003. This good result is attributed to effective restructuring on the part of firms in the space sector. 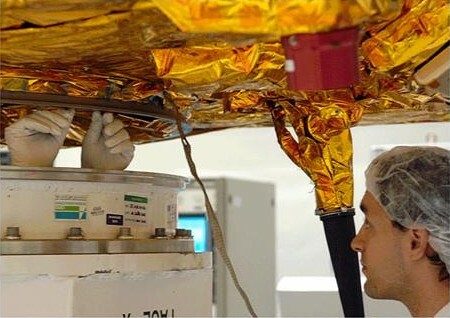 Although the Guiana Space Centre (CSG) saw a slowdown in space activities in 2003, with problems related to Ariane 5 end 2002 and the retirement of Ariane 4 early in the year, its service providers and subcontractors appear to have weathered the storm. The 64 survey respondents certainly did register a decline in business, with a 1% drop in total revenues in 2003 and a reduction in headcounts of about 3%, representing a loss of 350 jobs. But the proportion of space revenues as a percentage of total revenues decreased from 55% in 2002 to 48% in 2003, thereby reducing reliance on space activities. These figures reflect a general trend that has impacted business sectors to a varying degree, since 14% of respondents to the INSEE survey get more than 90% of their business from space. 2 sectors have been hit harder than most: industry and corporate services, which have experienced job losses and reduced revenues, with space accounting for about 54% of total revenues in industry and nearly 69% in corporate services. In the latter sector, the direct consequence has been a 10% reduction in headcount. Bucking this trend, construction—a much more diversified sector in which only 24% of revenues comes from space—saw total revenues rise over the same period by 34%. The construction of launch facilities for the Vega and Soyuz launchers at the CSG obviously contributed to this robust growth. 2/3 of CSG subcontractors are located in the Kourou area and generate 86% of their total revenues from space. All other subcontractors are located in the Cayenne area. 1/4 of them are in corporate services, 20% in construction, 20% in industry and 10% in commerce and transport. 1/5 of these Guianese firms working in space have more than 50 employees, and 21% have between 10 and 49 employees. Firms with fewer than 10 employees represent only 14% of space activities. While firms with fewer than 5 employees are not very optimistic for the coming years, all other firms seem confident in their long-term future—albeit with a caveat, since firms with more than 50 employees said they were “fairly optimistic” about the long-term outlook. * Survey of suppliers, subcontractors and service providers with revenues of at least 7,500 euros in the space sector in French Guiana, carried out between July 2004 and January 2005. The survey covered fiscal year 2002-2003 and the outlook to 2007.